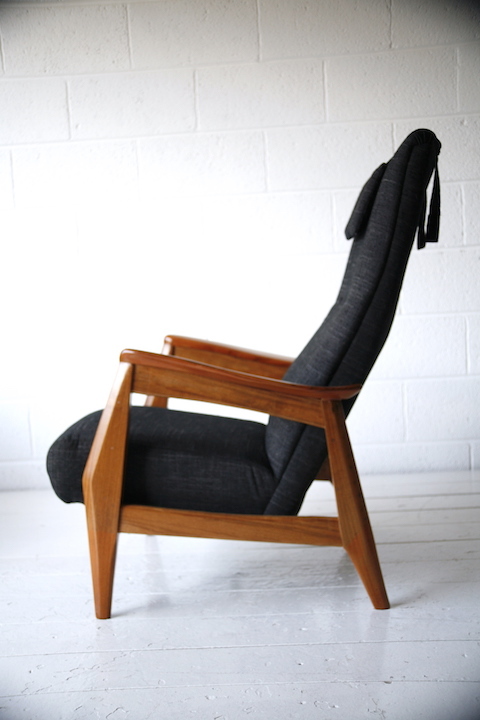 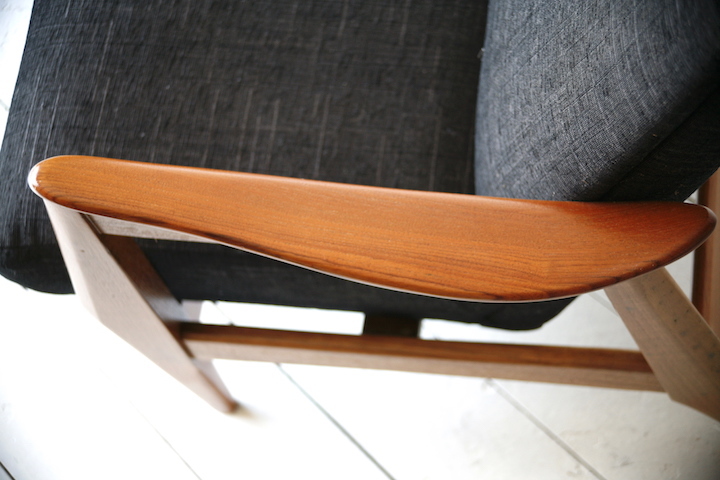 A lovely 1960s teak lounge chair. 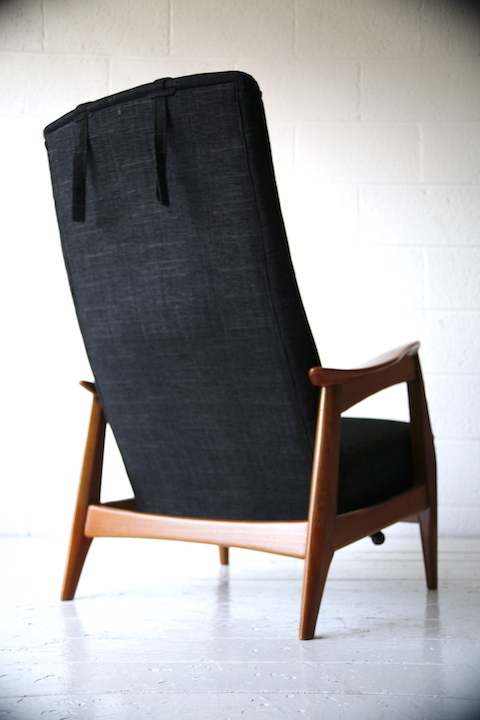 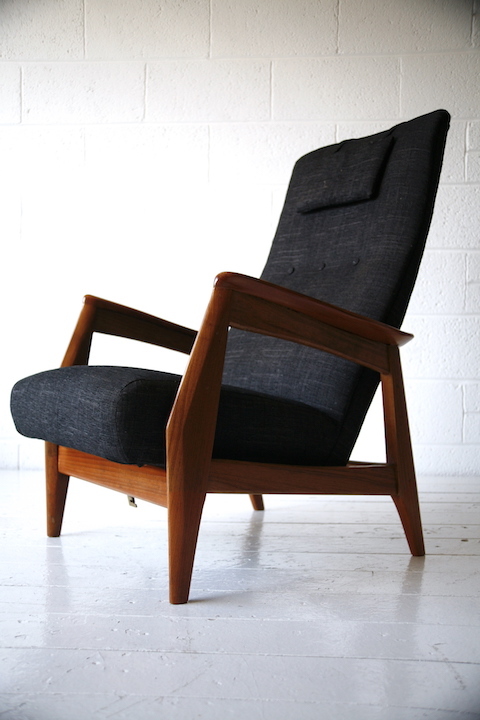 With black patterned fabric and solid teak frame. 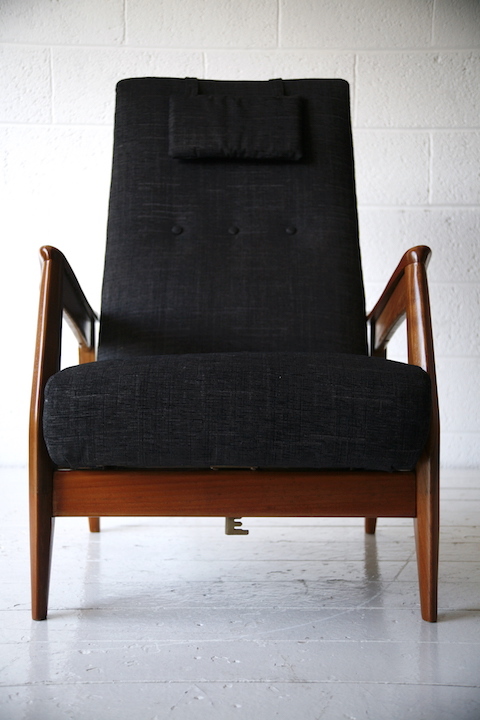 In good restored condition with some age related marks in the wood.